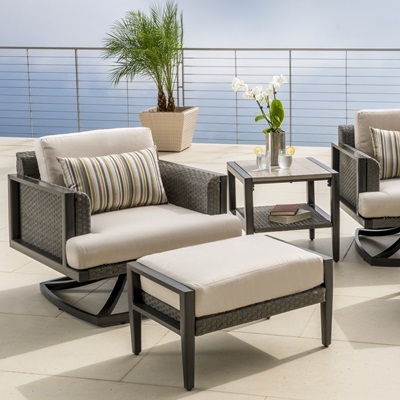 Sit back, relax, and enjoy your outdoor patio with the Vistano motion club chair set that combines comfort, value, and durability. 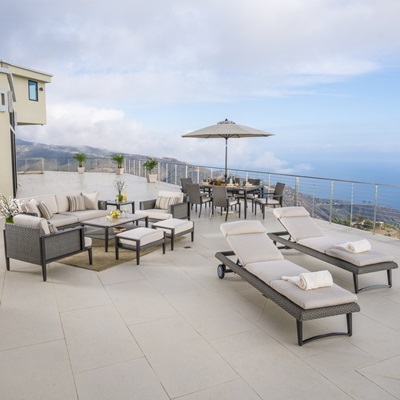 The Vistano Collection features a Mid-century modern style with mixed materials design that combines geometric lines with woven surfaces, the latest trends in contemporary, outdoor living. 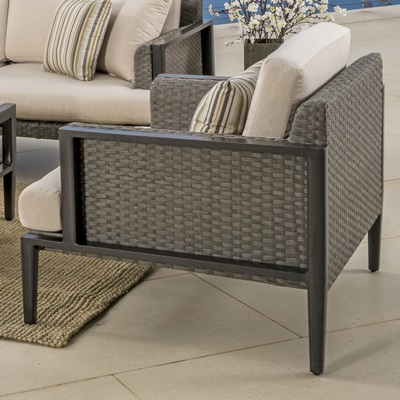 Powder coated frames in pewter finishes with textured dark Gray weaves, creating a timeless look that withstands the elements. 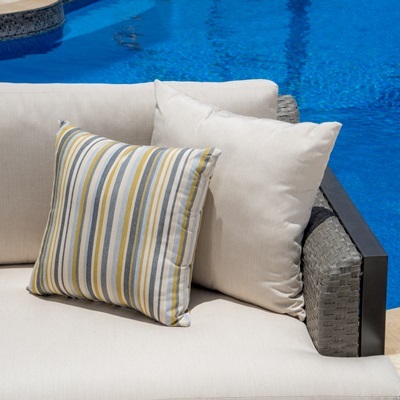 Set comes with 2 oversized full-motion club chairs, fitted with plush Sunbrella cushions and striped lumbar pillows.